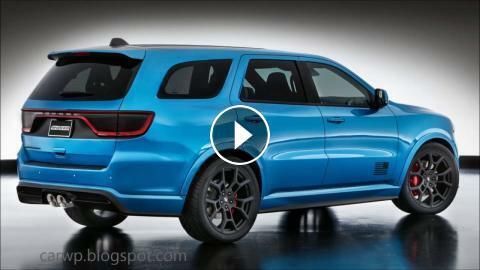 As if the already aggressive styling, performance and driving dynamics of the Dodge Durango aren’t enough to make enthusiasts quake, Mopar “shook up” the Dodge Charger of the SUV segment for SEMA by creating the Dodge Durango Shaker concept. The B5 Blue three-row SUV gets in your face fast with a custom-fabricated, functional Shaker Hood — the first-ever for a Dodge Durango — embellished with matte-black graphic accents that run from the hood to the roof. In the performance department, the custom Shaker hood feeds a 6.4-liter HEMI engine mated to an eight-speed automatic transmission, with further upgrade courtesy of a functional Mopar cold-air intake. In another Dodge Durango first, the rumble of the Shaker is delivered by customized chrome Mopar cat-back dual exhausts located in the center of the vehicle, replacing standard side exhausts. SRT six-piston big brakes and rotors, cooled by functional brake ducts in the front, rein in the Dodge Durango Shaker. The Dodge Durango Shaker, dropped 3 inches closer to the street courtesy of a custom lowering kit, sits menacingly on concept Satin Black 22-inch x 10 1/2-inch Mopar wheels protected by custom fender flares. The crosshair grille is replaced with an open grille design for better breathing, and an aerodynamic Satin Black chin splitter projects out from the fascia. Additional modifications include Satin Black side sills, B5 Blue mirror caps and a B5 Blue custom rear spoiler that helps plant the Durango’s rear to the pavement. The Durango Shaker turns to a sibling from the Dodge brand lineup for a unique closing exterior touch — a custom Dodge Challenger fuel filler door, cut from the quarter panel of a Challenger and transplanted to the Durango. The interior also boasts what is undoubtedly another first for Dodge brand’s SUV – three rows of Viper seats, trimmed in Katzkin leather with B5 Blue stitching. The performance flat-bottom steering wheel comes from a Dodge Charger SRT. The center console and entertainment center console bezels are also colored B5 Blue, and a unique console shifter replaces the standard rotary knob. Mopar accessories include remote start, EVTS system, bright door sill guards, wireless charging, pedal kit and an emergency kit.